July 31, 2013: The Global Handbook on Non-communicable Diseases and Health Promotion has just been published by Springer. Edited by David V. McQueen, the book has a long list of contributors with expertise in various aspects of NCD global policy and practice. The Chapter on “NCDs and Civil Society: A History and a Roadmap” has been authored by our President, Sania Nishtar with Johanna Ralston of the World Heart Federation. Further details can be viewed here. 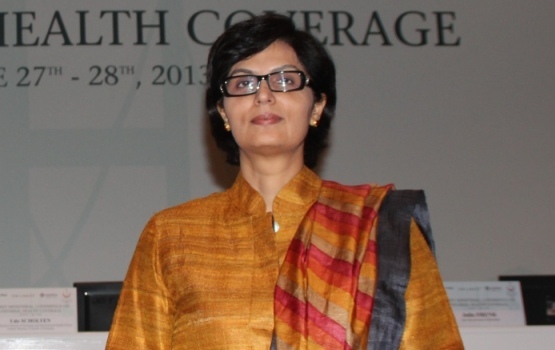 July 30, 2013: Our president, Sania Nishtar joined the UN ECOSOC High-level Segment 2013 Panel Discussion on Universal Health Coverage, earlier this month through a videolink. 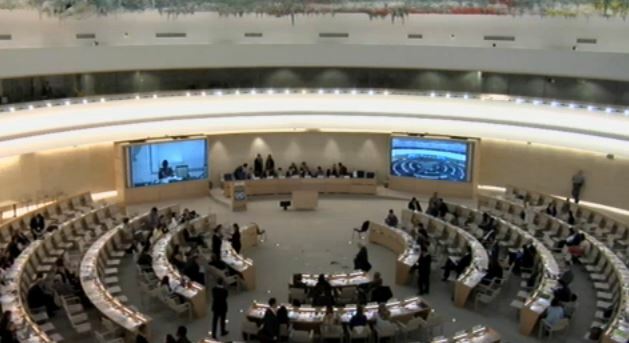 The event video can be viewed on UN Web TV with her comments accessible here. July 24, 2013: iHEA Congresses are well established fora, which convene global experts in health economics each year. This year, the Congress was themed Celebrating Health Economics. It was held in Sydney, Australia on July 7-13, 2013. Heartfile participated in two sessions at the event. In the session “What can we learn from public sector based approaches to the challenge of universal health coverage in Asia and Africa?”, organized by Barbara McPake, Queen Margaret University, Edinburgh, Dr. Faraz Khalid, Heartfile presented “The purpose, design and impact of Health Equity Funds: health financing mechanisms to protect the poor and pave the way to universal coverage”. In the other session “Beyond Bismark and Beveridge: innovative financing mechanism for UHC” Dr. Sania Nishtar participated through video message, which can be viewed here. July 18, 2013: With the increasing global traction for Universal Health Coverage, the Ministry of Health, Turkey collaborated with the Imperial College London, The Lancet and Istanbul Medipol University to launch the Lancet Series on Turkey at the Turkey Ministerial Conference on Universal Health Coverage on June 27-28, 2013. The meeting featured major stakeholders from OECD, World Bank and the World Health Organization. Our President, Dr. Sania Nishtar moderated the Ministerial panel on Managing Emergencies in the Context of Universal Health Coverage. Other panelists included Dr. Ala Alwan, WHO RD for the EMRO region and the Ministers and Secretaries of Health of Turkey, Romania and Indonesia. Podcast of the panel is available here. As I stepped down from my role as a caretaker federal minister last month I attempted to introduce two precedents through my Handover Papers – voluntary submission to accountability and a formal process of handing over government. In one of these, I reflected on some of the challenges that have constrained the government’s ability to govern. Twenty-one caveats have been outlined, referring to the government’s core business, its institutions and instruments of governance, the modalities of policymaking, human resource considerations and key governance attributes. In this article I elaborate on the caveats related to the executive’s public policymaking role. The frame of reference here is domestic policy. The term public policy has been interpreted widely; beyond a set of norms embodied in the constitution, legislative acts, judicial decisions, and formally declared government policy documents, public policy can also be framed in any other policy instrument, whether regulatory or economic in nature. Policy formulation is the government’s core ‘business’. If government is the key to the fortune of the 180 million people in this country, then effective policy and governance is the mechanism through which that potential can be unlocked. Certain prerequisites are critical in that respect – appropriate institutional capacity, policy-relevant sector knowledge, infrastructure to inform and monitor policy and the will to base decisions on evidence. A range of issues plague the current policymaking style of the government. The foremost is a tendency to formulate policy as a wish list, an inventory of all possible policy courses of action in a sector rather than select evidence-based choices framed along an envisaged pathway to change with a clear sense of how a set of chosen policies would best fit considerations of feasibility, acceptability, political suitability, and cost-effectiveness. Policy is not a menu, it is a choice. There has to be a clear rationale for its formulation. In my Handover Papers, I have attempted to demonstrate how a set of concordant and interrelated policies across a pathway to envisaged change can have a synergistic effect. Developing a policy also does not mean that the policy will automatically start getting into effect. In many areas, I have seen implementation and ongoing programming underway in complete deviation from stated policy norms. There needs to be accountability for conforming the course of action within ministries with laid down policies. Plans of action, benchmarks, indicators, and the means of their measurement should be clearly outlined. I found these basic pre-requisites lacking in some areas. With the ‘policy wish list’ formulated, ministries often think their job is done. Policy formulation is just a means to an end. It is a continuous process, where information and monitoring systems are meant to give continuous feedback about the evidence of its impact to help shape policies on an ongoing basis. In terms of what a policy has to achieve, there is also a difference between outcomes – the ultimate objective – and outputs and processes as a means of achieving outcomes. This distinction is often blurred and needs to be in sharp focus. In policymaking, the process is as – if not more – important than the outcome or the policy itself. Arbitrariness in the process leads to problems, which can result in delays and/or capture by vested interest groups. Past aberrations in several policy processes within the Ministry of Information Technology and Telecom, in particular the policy process related to the 3G licences and spectrum auction, are examples of this. Especially when a policy regulates high-stake commercial interests, it is critical to ensure that its process is as transparent as possible. Absence of norms for the policy formulation process is a critical gap in the government of Pakistan’s policymaking system, and needs to be bridged as a priority. Policy continuity is another important dimension. The time needed to see through a transformation in a sector is often not limited to one government’s tenure. It takes time for policy change to take root; hence, institutional memory and policy continuity become important attributes of governance. Before starting, it is critical for new governments to explore where it is necessary to build on work in the pipeline and consolidate efforts underway so as to maximise available opportunities. The handover process also becomes important in this respect. It should be binding on policymakers to document decisions and their rationale, and to outline where and why follow-up action and policy continuity becomes relevant. More broadly, in cases where long-term consistent direction is necessary, policies need to be insulated from vacillations through multi-partisan and multi-stakeholder consensus, towards which this government should move. Another consideration in policy formulation is evidence. Evidence-based decision-making is both a democratic value as well as an individual attribute of behaviour in public office; without it, democracy has little value. Gaps in the evidence and information infrastructure is one aspect to this effect; more constraining is limited commitment to take appropriate policy decisions based on evidence. This is compounded by limited rational accountability of the decision-making process. Evidence generally points to the need for long-term remedial measures; however, a combination of factors – lack of institutional maturity, career structures that foster short-sightedness and therefore orientation around short-term outputs – prevent evidence-based enduring actions from taking root. One of the most important interventions that the new government can make is to foster a culture of evidence-based decision-making in the functioning of the executive. Finally, what matters most in public policy formulation is conflict of interest. In the affairs of the state, conflict of interest matters deeply and is one of the key ethical questions in governance. Policymakers often have business relationships in sectors where they are charged with policymaking responsibilities, raising conflict of interest concerns. This must be actively regulated and managed. However, rules regulating conflict of interest are not explicitly defined. The Code of Conduct for Ministers alludes to the need for separation, but exact modalities are not defined in a binding instrument. A focus on transparency in decision-making is one way of regulating conflict of interest. Beyond that, however, a concrete set of binding principles is needed. Confirming the course of public policy with these attributes is something the government must strive for if it sincerely wants to make headway in improving governance in the country.